The move to contactless cards and NFC-compatible point-of-sale terminals is gathering pace with banks in Italy and Poland announcing plans for widespread contactless card deployments this year. Poland and Italy have become the latest countries to begin a significant drive towards contactless cards and NFC-compatible point-of-sale terminals. In Poland, PKO Bank Polski, the country’s largest debit card issuer, is spearheading the move with the announcement that it will begin replacing all its 6.5m debit cards with contactless Visa PayWave cards from mid-2010. 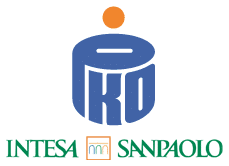 In Italy, Intesa Sanpaolo, Italy’s largest banking group with 11 million customers, has become the first bank to commit to a large-scale roll out of contactless technology. The project, run in collaboration with MasterCard and Gemalto, will roll out first in the Milan area and will then be gradually expanded nationwide. “After several discussions with Visa produced no agreeable changes,” the chain started removing its acceptance of Visa contactless cards in October, completing the cutoff in November, said one Best Buy executive involved in the decision. The cutoff happened store by store along with POS upgrades. “Our decision was based on the costs associated with requiring contactless debit transactions be processed as signature debit,” the Best Buy executive said. “A number of banks want to issue contactless cards in the UK this year. We’re also seeing it across Europe,” he said.